Autism isn’t what makes Andy Bryant and Colleen Bryant different from other runners. What’s different is that they’re faster than most of them. Not to mention that the two, who are not related, scored sponsorship deals with Brooks, which they signed in January ahead of their participation in next week’s Special Olympics USA Games. According to a Special Olympics USA Games spokesperson, they’re the first Special Olympics athletes to ever sign with a sponsor. 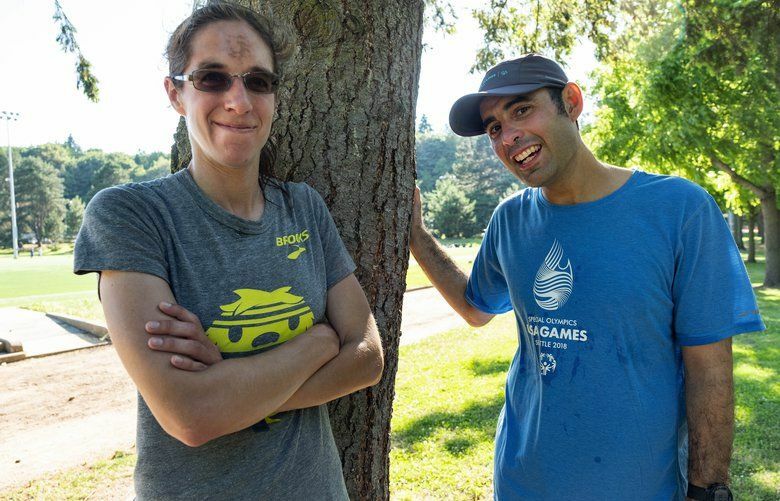 Their Brooks sponsorship is just the latest achievement in Andy’s and Colleen’s illustrious running careers that include not only numerous Special Olympics state medals, but also a combined 38 marathons. 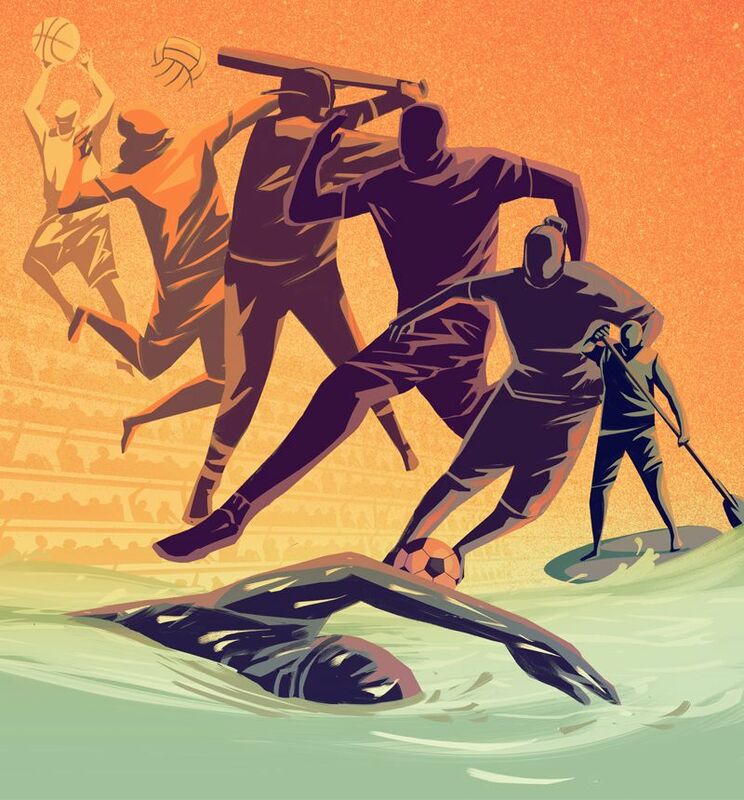 Along the way, they have shattered expectations of what people with disabilities can and cannot do and have sought to expand traditional considerations of who can be an “athlete,” a label that has historically failed to include people with disabilities. “(People) should know that (Special Olympics athletes) can push themselves and have no limits — and have fun,” Colleen said. Though the sports world has made strides in promoting greater inclusivity regardless of ability, it is still unusual for sportswear companies to sponsor athletes with intellectual disabilities. 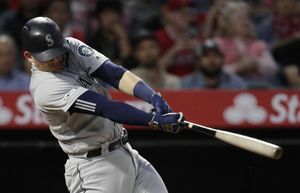 But to Brooks, sponsoring Colleen and Andy, who are both from the Seattle area, was a “no-brainer,” according to Steve DeKoker, the company’s sports marketing manager. 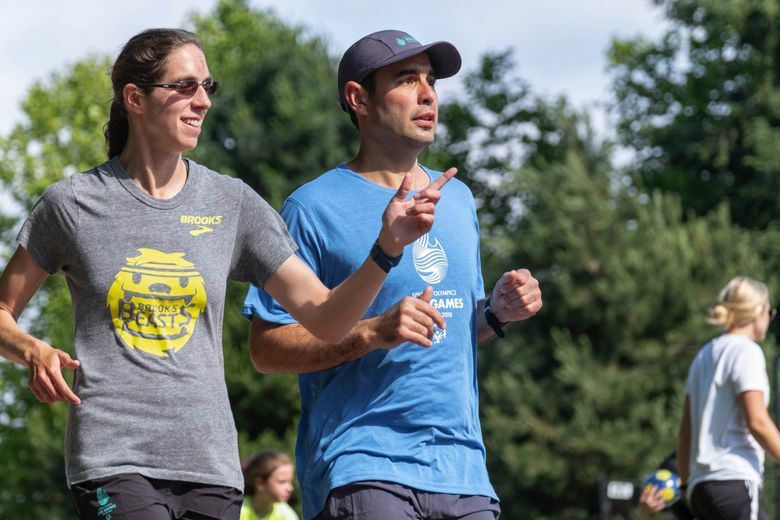 Sponsoring Andy and Colleen “really fits with our values of inclusivity and to inspire people by partnering with professional and high-level athletes, people in all avenues of running,” DeKoker said. Brooks’ sponsorship of Andy and Colleen isn’t a symbolic gesture. Brooks expects them to win their events at the USA Games. Andy will race in the 3,000 meters, the 10,000 meters and the 4×400 meter relay and Colleen in the 1,500, the 5,000, long jump, and 4×400 relay. 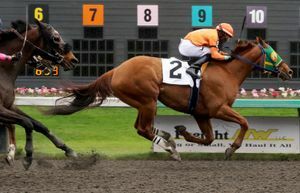 While the USA Games this week will mark both Andy’s and Colleen’s national Special Olympics debuts, they have previously competed in the Washington State Special Olympics, and are considered two of the top track athletes at the USA Games. According to the Centers for Disease Control, autism affects about 1 in 59 children in the U.S., and the fundamental challenge is that it impairs communication abilities and a person’s social skills. For Andy and Colleen, running and competing in Special Olympics have provided avenues that help alleviate that challenge. “It really helps me bond with everybody, get to know different teammates, and gives me lots of drive and purpose,” Colleen said. Andy, 36, was about 11 years old when he started running. His mom, Colleen Engle, recalls the first time Andy demonstrated his natural athleticism. He left her and his stepfather in the dust in a 5K she had expected the three of them to walk. Andy’s stepfather encouraged him to keep running, and they worked through 5Ks, 10Ks, and half-marathons before Andy completed his first marathon in 1999. In all, Andy has run 30 marathons, including nine prestigious Boston Marathons, with a personal best of 2 hours, 55 minutes, 23 seconds. The average finish time for Boston Marathon runners since 2000 is nearly an hour longer, at 3:54. His dominance carries over to Special Olympics, where since 2004 Andy has been undefeated in the 10,000 in the Special Olympics Washington Summer Games. Colleen, 31, has dominated the 1,500, 3,000, and 5,000 at the state-level of Special Olympics, winning two gold medals every year from 2011 and 2015. She first started running marathons in 2010, thanks to the encouragement and training of her longtime coach, Ed Haywood. She’s completed eight marathons so far, with her best time a 3:31:55, which qualified her for the Boston Marathon. 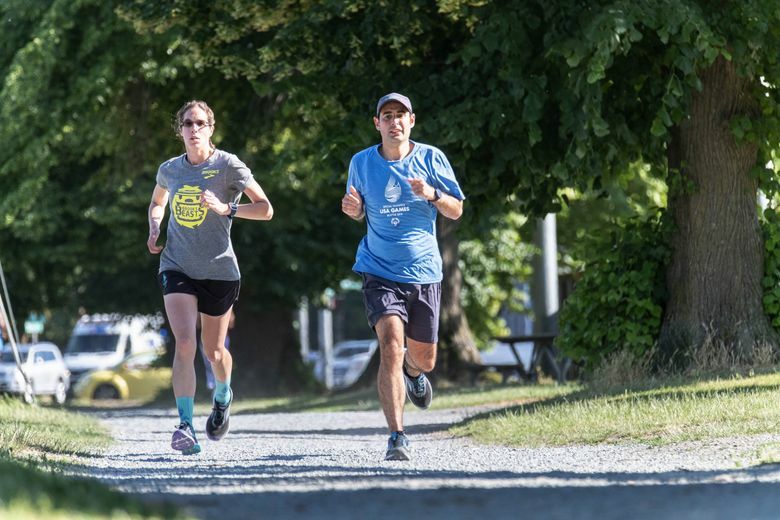 She is set to run her ninth marathon, the Victoria Marathon, this fall, and her time from that race will almost certainly qualify her once more for Boston, according to Haywood. Brooks’ sponsorship of Andy and Colleen does not end with the USA Games — their contracts go through December 2018, after which Brooks will evaluate whether to re-sign them. Until then, the company will finance Andy’s and Colleen’s travel and provide gear for their fall races. But those perks aren’t what’s made the biggest impact on them. Brooks invited the two runners to join the Brooks Beasts in February at an altitude training camp in Albuquerque, N.M. The Beasts, Brooks’ team of sponsored, professional middle-distance runners, includes elite athletes such as Katie Mackey, Izaic Yorks and Drew Windle. Joining the Beasts not only prepared Andy and Colleen for competition, but it also made them feel included and accepted. In addition to having meals and playing games together, Andy and Colleen got to complete workouts with the Beasts. In Albuquerque, Colleen experienced the hard way what it means to train as one of the elites. Her mom, Bonnie Bryant-Moore, admitted that Colleen threw up by the end of one of the workouts with the Beasts because she wasn’t used to running in Albuquerque’s high altitude. But that’s what happens when you run with some of the best. Participating in altitude training with the Beasts not only prepared Andy and Colleen physically and mentally for competition, but the entire experience integrated them with the other Brooks athletes. Engle describes how one night the group played charades, a game that would be more difficult for those with autism, like Andy and Colleen, to play. Though it would have been understandable for Andy to have watched as the rest of the group played, he wanted in. He did not completely understand what to do initially, but the Beasts coached him through it. She reiterated that each time Andy has been included — when he started running on the track team in high school, when he joined running groups with other marathoners, when he trained and played charades with the Brooks Beasts in Albuquerque — he’s been able to shine and surpass everyone’s expectations. Engle said that Andy is more nervous than usual about the Special Olympics USA Games because he’s only competed in state-level Special Olympics, and doesn’t know how he’ll fare against national competition. Regardless of the result, he and Colleen will have their new Brooks family cheering them on as they go for gold. “Hopefully they’ll be breaking the tape at the end of the race and we’ll be able to give them a big hug and say congratulations and help celebrate with them, because that’s what we’re really good at doing, is celebrating people,” DeKoker said.